“High” consumption of meat makes these products carcinogens of Group 1. This is the key message that World Health Organization has sent on 26.10.2015. 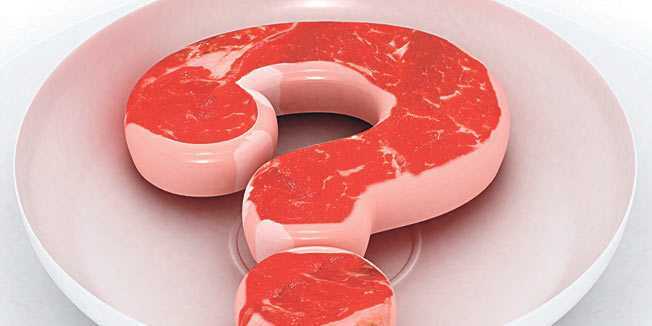 “High” consumption of red meat after thermal processing, roasting and barbecue processing creates polycyclic amines which are carcinogenic and classifies this product to a group of possibly carcinogenic products. What means higher consumption for the population of the Republic of Macedonia ? That is the question we need to answer soon, because we care about the public health. If a country or region’s population has habits of regular consumption of red meat and processed meat products, called “high consumption”, then colon cancer may represent a public health problem. For public health care authorities in the US there is a greater risk of consumption of red meat, because there is a high daily consumption of red meat, more than 100g at the American population. Do not let the anxiety arise among young parents after such decisions and thus to cease feeding their children with meat containing primarily proteins and minerals, necessary for normal childhood development. Surely that little amount of meat they get in the kindergarten, usually prepared by heat treatment, cooked, won’t be a high consumption. We can orientate to the “healthy lifestyle” which means moderate balanced diet and regular physical activity. Finally to oriente through national recommendations for diet based on whole grains, fruits and vegetables, legumes, fish, white chicken meat and moderate consumption of red meat. This will influence the prevention of cardiovascular diseases.